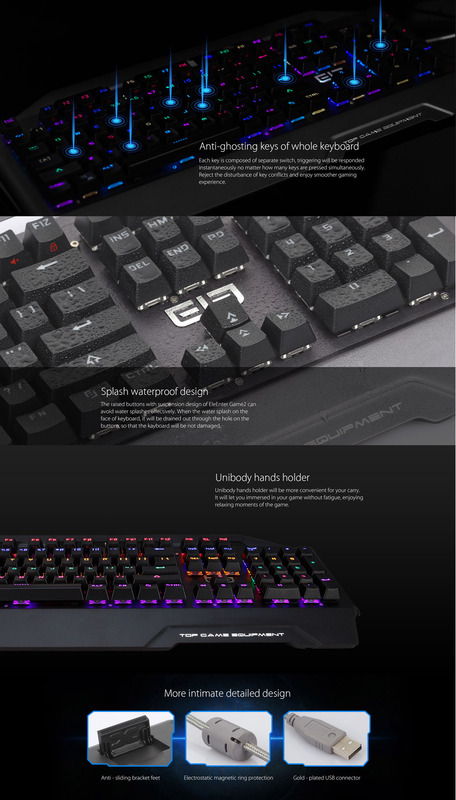 With the continuous heat of a mechanical keyboard, more and more people fall in love with it, regardless of professional gaming peripherals or a programming tool. 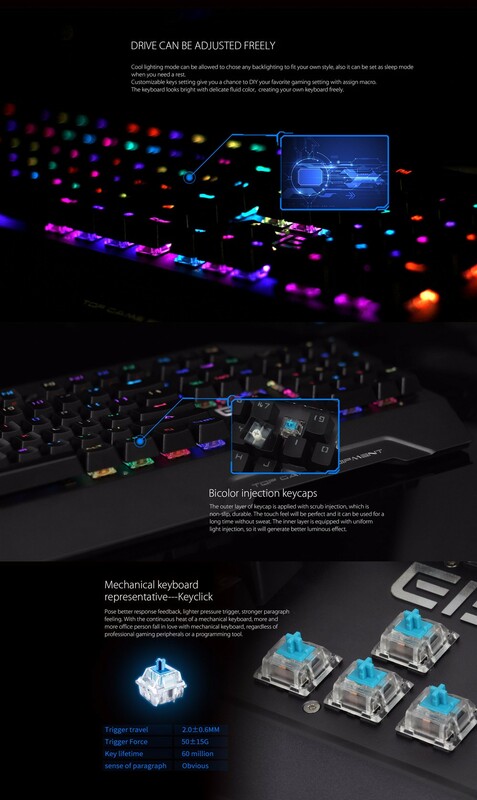 ● Anti-ghosting keys design, you can enjoy the smoother gaming experience. ● The raised buttons with suspension design can avoid water splashes effectively. 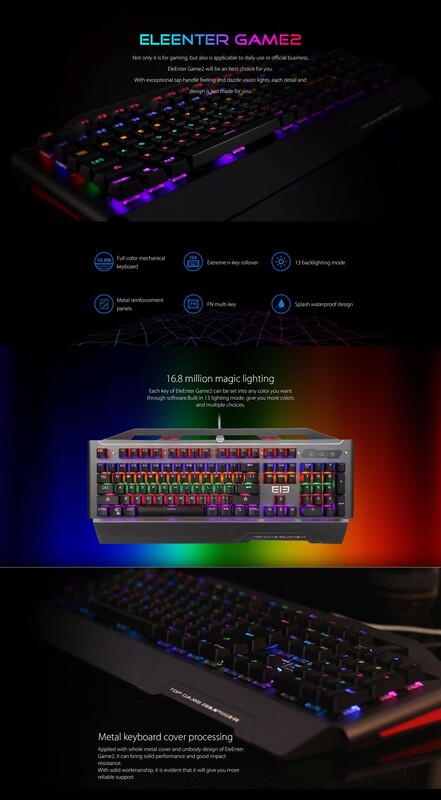 ● Built-in 13 lighting modes, giving you multiple choices. 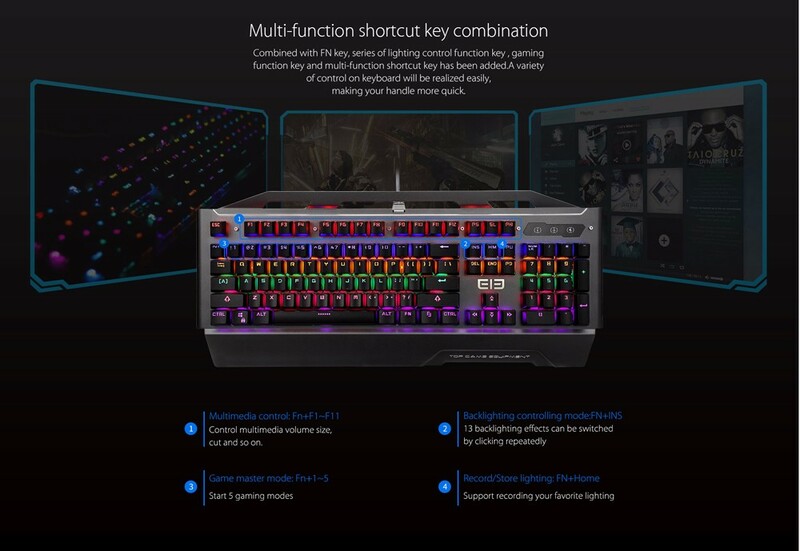 ● Each key of it can be set to any color you want through software. ● Unibody hands holder will be more convenient for you to carry.